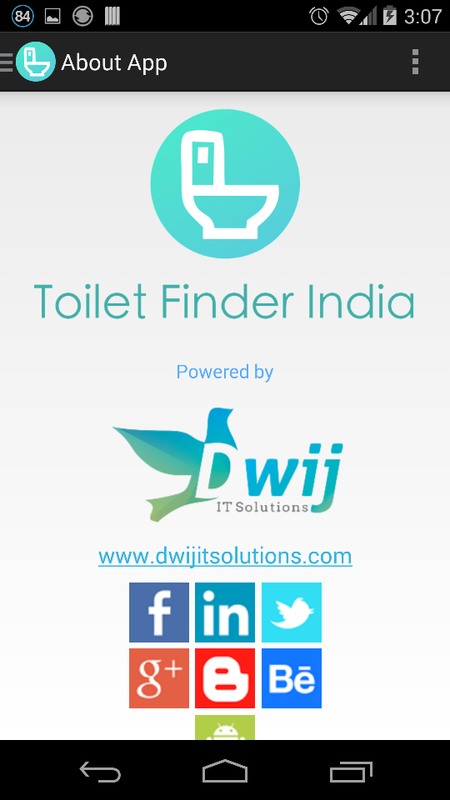 Toilet finder india is a general purpose app by Dwij IT Solutions inspired by Swachh Bharat Abhiyan (स्वच्छ भारत अभियान) by Narendra Modi. We, humans are social animals. We live in society to make our life better. 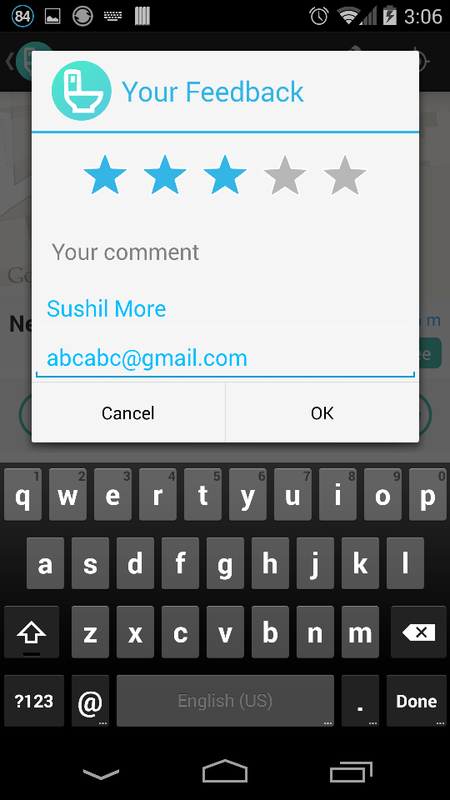 We believe that every person, group or organisation has some liability towards the society. 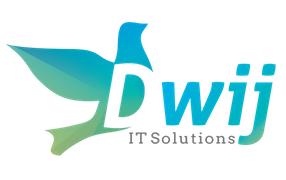 Thus, Dwij IT Solutions has taken an initiative to help people by Technical means. 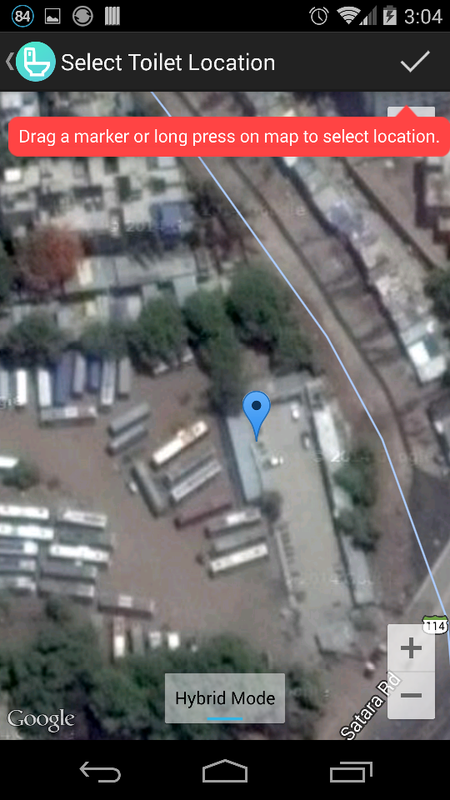 We have made efforts to make Toilet Finder India. 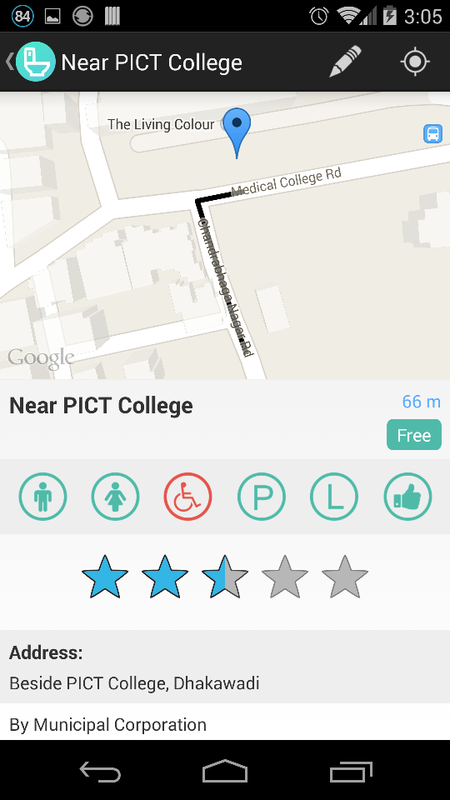 An intelligent app which helps you find toilets in india. 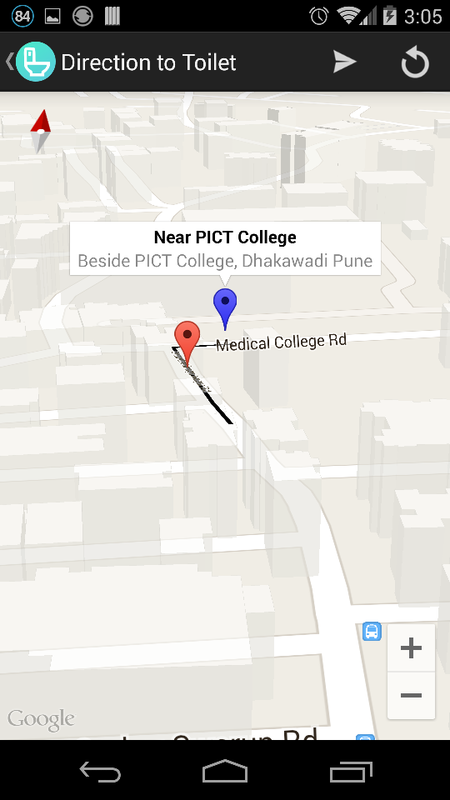 Wherever you are, just open the app, search for nearby toilets and get the map representation of that toilet. 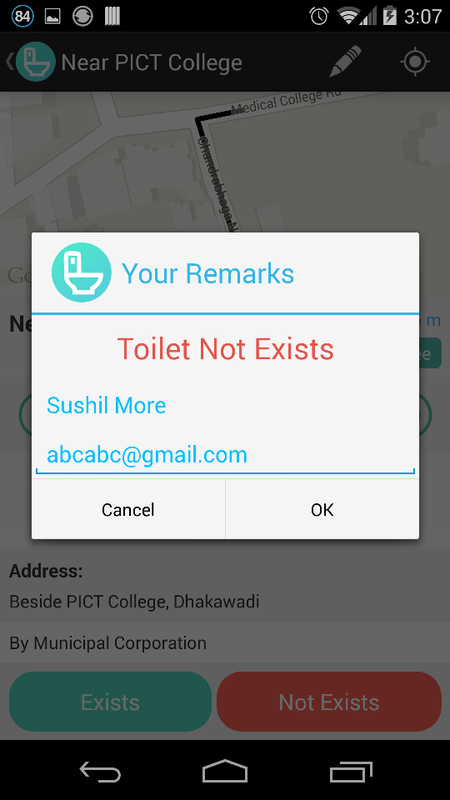 This application has toilet database for very few cities & area. 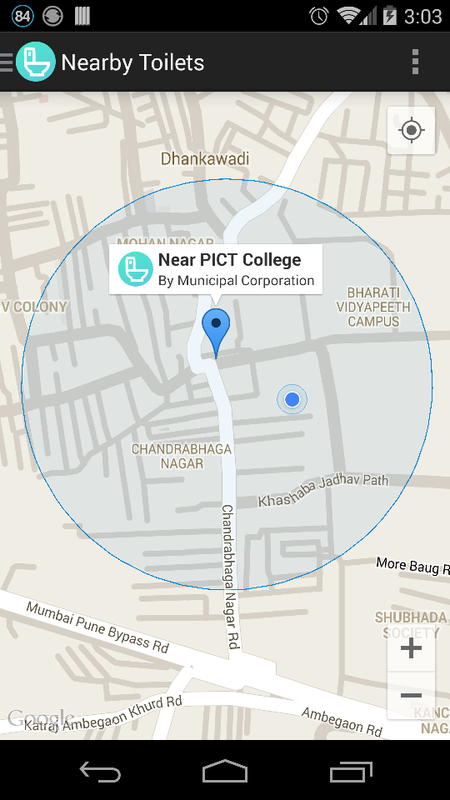 It gives you functionality to add & edit toilets, which will help all other people to find toilets nearby.